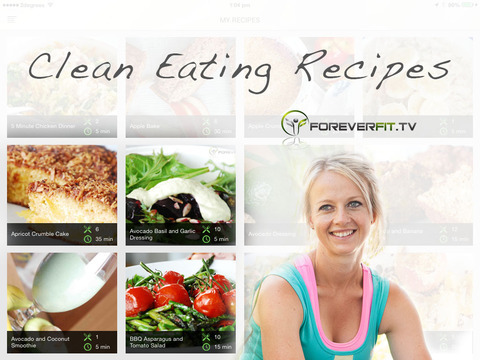 *Enjoy these 220+ Clean Eating Recipes by Foreverfit.tv. * Download it now, and if you like it you can unlock ALL recipes for a single in-app purchase. 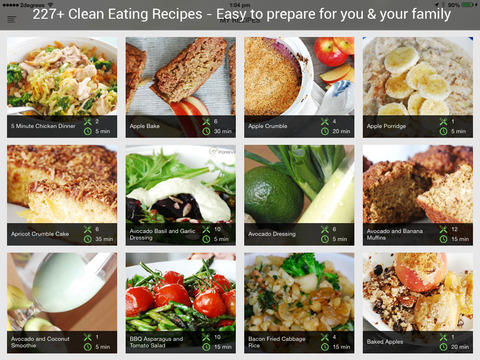 • Update: Now with a total of 370 Clean Eating Recipes! 10 are available free when you download, then all 370 are available with a single & affordable in-app purchase. These beautiful, healthy recipes are gluten free, dairy free and sugar free. They are simply real food recipes that are easy for you to prepare for yourself and your family, and they taste amazing. If you have heard about the paleo diet or caveman diet revolution, and want recipes that adhere to these, then download this recipe app and get 370+ to choose from (note that you do not get all 370 recipes for free, to receive all 370 requires a single in-app purchase). While most recipe apps on the app store have maybe 50 to 100 recipes at most, we have gone all out, and given you over 370 recipes that are available! 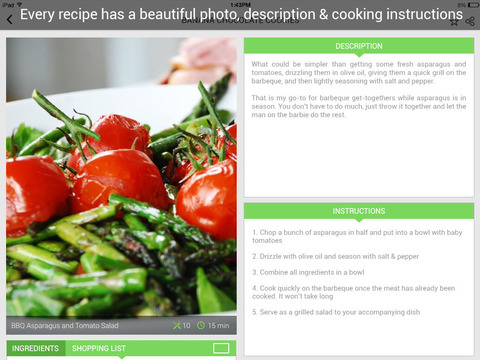 The '+' means that we are adding more recipes all the time, so you will never be stuck for inspiration and beautiful meals to cook for yourself and your family. No-one can ever tell you again that the paleo diet or caveman diet food gets boring! 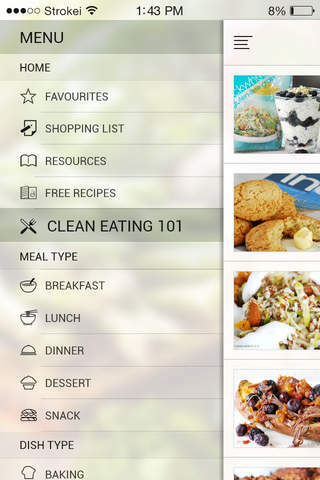 This recipe app can be your very own clean eating cookbook, guiding you and inspiring you to create beautiful healthy recipes using real food that is free of gluten, dairy and sugar. Make life easy for your body, if it wasn't around thousands of years ago, chances are your body has no idea how to break it down and use it for energy. Keep your diet full of food that your body is designed to eat. As soon as you add processed foods, sugars and chemicals to your diet, your body has no idea how to break them down so it stores them as body fat and toxins. 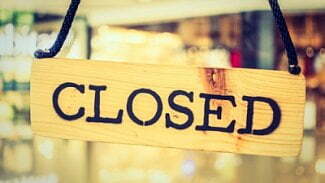 Trying to break down processed food depletes your energy. Your skin will begin to show the stress your digestive system is under, and your body will store that food it has no idea how to process as body fat. Food is fuel for your body, so the best thing you can do is switch your thoughts by thinking of the food you eat the same as the petrol you put in your car. If you put diesel into a car that runs on unleaded petrol, your car is not going to like it very much and won’t function very well. It is the same with your body. If you slow down and get tired and grumpy after eating, that is your body telling you that your are not giving it the right foods to function properly. After eating you should be motivated, energized and ready to rock and roll! So start listening to your body and treat your meals like fuel to function properly. The recipes in this app show how you can take clean and healthy ingredients, and still make yummy food that is nourishing and healthy for the whole family. Enjoy these clean eating recipes! 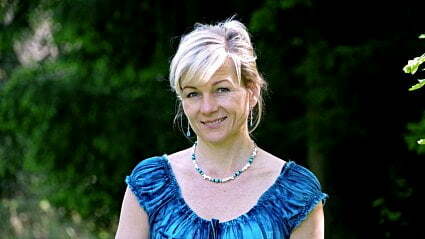 Nicola Smith is the founder of Foreverfit.tv, a health and wellness website with a huge following. She creates online video workouts, meal plans and nutrition advice for her members of the 'Online Gym'. Nicola also has a popular podcast on iTunes, called "Get In The Best Shape Of Your Life", where she interviews guests who are thought leaders in health and wellness, and inspires and educates her listeners with her own wealth of knowledge. Nicola is a qualified Functional Diagnostic Nutrition practitioner. These 370+ recipes are her own beautiful creations that will have you eating healthy and yummy meals.